The study could be the first step in tackling cancers like glioblastoma, which led to Dame Tessa Jowell's death earlier this year. 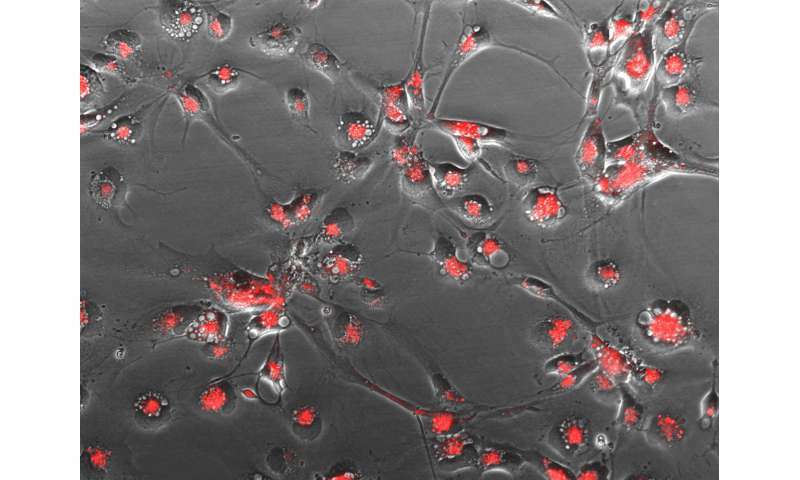 The research, led by the University of Leeds, found that the synthetic chemical, named KHS101, was able to cut the energy source of tumour cells from glioblastoma, leading to the death of the cells. Published in Science Translational Medicine, the research represents an important step forward in tackling this disease, which is one of the deadliest cancers, with a five-year survival rate of less than¬ five per cent. Over 2,000 people are diagnosed with glioblastoma in the UK every year, and it has recently been discussed in Parliament as a disease which urgently requires improvements in treatment options. Funded initially by the Medical Research Council, the new study showed promising results which may lead to the development of a therapy to fight brain cancer in years to come. Dr. Heiko Wurdak, from the University of Leeds who led the international research team, said: "When we started this research we thought KHS101 might slow down the growth of glioblastoma, but we were surprised to find that the tumour cells basically self-destructed when exposed to it. The study revealed that the chemical was disrupting the mitochondria and metabolism within the tumour cells, and shutting off the energy supply leading to their self-destruction. To test whether KHS101 could cross the blood brain barrier in mammals, essential for it to be effective in stopping brain cancers, tumour cells were transferred from humans into mice. The blood brain barrier stops most molecules from entering the brain and severely limits treatment options. The chemical successfully crossed the blood-brain barrier and significantly decreased tumour growth (by around 50 per cent) in mice treated with KHS101 compared with those given a placebo, leading to an increase in survival. Importantly, normal brain cells were unaffected by the chemical. The team also reviewed how effective KHS101 would be against the different genetic profiles of cells within a tumour, and between tumours in different patients. 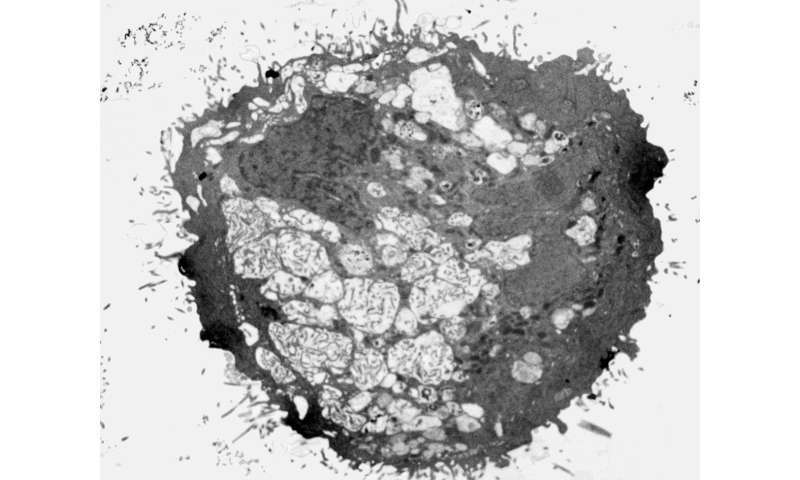 Genetic variation in tumours has complicated efforts to identify treatments in the past, but the team found that all tested variations of glioblastoma subtype cells responded to the treatment. Professor Richard Gilbertson, Cancer Research UK's brain tumour expert who wasn't involved in the research, said: "Treatment for glioblastoma has remained essentially unchanged for decades, so there is a pressing need for preclinical research like this to identify and characterise potential new drugs. Further research into the properties of KHS101 may lead scientists to discover similar drugs which also disturb the energy sources causing self-destruction of tumour cells, and thus broaden the range of treatment options available in the fight against brain tumours. The paper 'KHS101 disrupts energy metabolism in human glioblastoma cells and reduces tumor growth in mice' is published in Science Translational Medicine on 15 August. This should be the first step in a SHORT process to developing treatments. What's the worst that could happen? The patients might die? Well, guess what, genius. They are going to die soon WITHOUT a treatment. DUH.